Andrew Robinson of hometheaterreview.com raves about the Anthem LTX 500 LCOS projector in his recent review of the product. "...Not ones to rest on their laurels, Anthem is at it again, this time tackling something new...HD projectors. 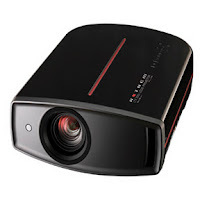 You heard correctly: Anthem is now making HD projectors, and like all Anthem products before them, their new line of LCOS projectors are, well, brilliant." Later in the review he went as far as to say... "I adore the LTX 500 and will not allow it to leave my home for I cannot fathom viewing anything, television or film, without it."